What Happens When You Throw a Rock Up in the Air? Mind Virus is excited to announce the upcoming publication of a transformational book that is sure to be on every business owner's reading list. The new book title, THROW A ROCK UP IN THE AIR, is authored by Dr. Marc Swerdlick and will be released in the first quarter of 2012.
Business mistakes are commonly brushed off and dismissed as a 'learning lesson.' In reality, mistakes are typically expensive, often compromise the customer's experience, and take their toll on a business's reputation. THROW A ROCK UP IN THE AIR, a new ebook authored by Dr. Marc Swerdlick, will be available from Mind Virus and most popular ebook retailers in the first quarter of 2012. THROW A ROCK UP IN THE AIR is the real-world guide that will show those starting a new business, or just contemplating starting a new business, how to avoid mistakes that should be obvious and are sure to derail your success. Most business books do a terrific job of telling entrepreneurs what they need to do to be successful. While that's all well and good, what they don't do is tell entrepreneurs what crucial mistakes must be avoided at all costs. "Business mistakes are commonly brushed off and dismissed as a 'learning lesson.' In reality, mistakes are typically expensive, often compromise the customer's experience, and take their toll on a business's reputation. They are often overlooked due to the excitement that tends to blind entrepreneurs from oncoming mistakes," said Dr. Marc Swerdlick. Mind Virus is known for creating products and seminars that are 100% “fluff-free.” THROW A ROCK UP IN THE AIR is no exception. This new ebook is not a carrot for an upsell audio or video program. Instead, every page is filled with valuable information that not only identifies potential issues, but shows business owners how to avoid them from the get-go. Dr. Marc’s unique approach and writing style is the equivalent of someone shoving one's face in a big steaming pile of reality. Instead of providing readers and seminar attendees with anecdotes, Dr. Marc raises the bar and gets right to the point. If a new start-up is looking for fluff, this isn't the right book. Mind Virus is a company that was started with one fundamental goal in mind: Actualization. Their products and services are the catalysts for tangible results that transform personal and business goals into reality. 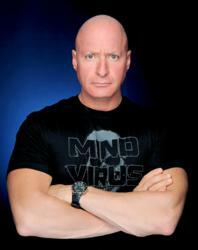 For more information about Mind Virus, their products and services, or Dr. Marc, please visit their website, http://www.mindvirus.com, call (800) 991-MIND, or email info(at)mindvirus(dot)com.